The past several days have been quiet around here and with a couple of deadlines in sight I think this period of silence will be prolonged. However, with every chance of meeting the said deadlines successfully and hopefully with nothing unexpected jumping out from these projects I will return to the usual posting at the beginning of September. 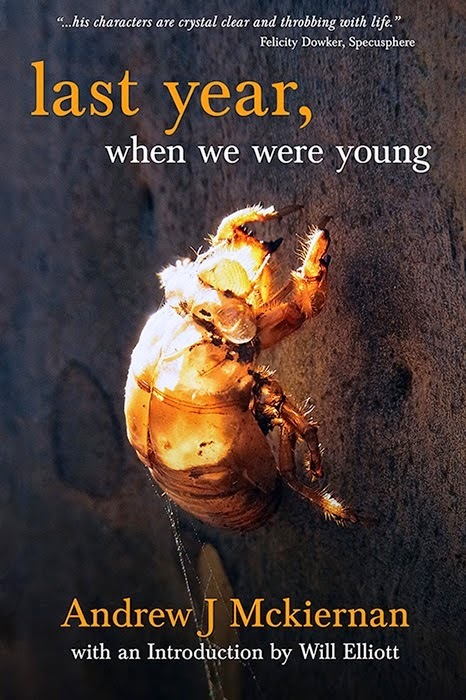 Therefore, if you want to see for yourself what Andrew J. McKiernan is up to in his debut short story collection you can get the Kindle compatible ebook of “Last Year, When We Were Young” today and tomorrow at a bargain price (Australia, UK, US). After August 1st and 2nd for other three days you can still buy the book at a discounted price, although it is slightly more than on the first two days of August. And if I am not mistaken and you prefer a physical copy of Andrew J. McKiernan’s “Last year, When We Were Young” you can get one during these days through Satalyte Publishing’s webstore with a 25% discount. I hope you’ll enjoy it as much as I do!